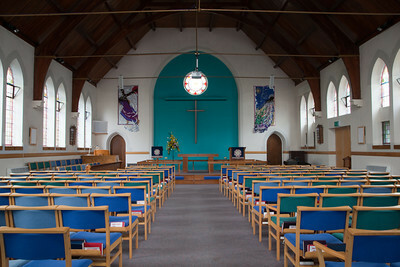 Haywards Heath Methodist Church offers a range of rooms to meet your requirements from small meeting rooms to hosting concerts and theatrical productions. The Church – seating 170 in rows. A perfect venue for weddings or concerts. Full surround sound system available using fixed and remote battery operated microphones. A 4000 lumen built-in projector and 3.0 m wide electrically operated screen is available. The Wesley Hall – seating 100, 5 tables provided. A large hall with its own sound system, operating through two loudspeakers using battery operated microphones. 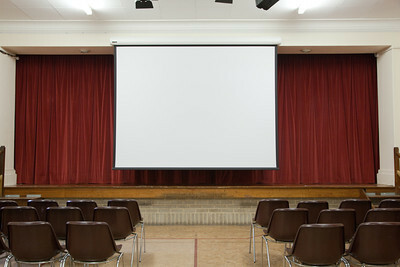 A 2.0 m wide electrically operated screen is also available and there is also provision for theatre lighting. Can be laid out in a variety of styles such as theatre, meeting layouts, or informally. 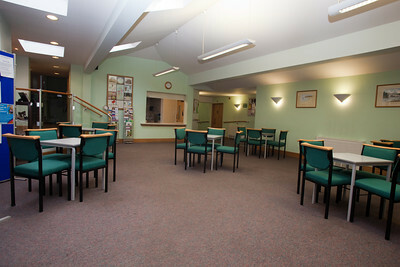 The Community Room – seating 24, 6 small tables provided. Offering a coffee shop feel and ideal for informal gatherings or serving refreshments after more formal events. 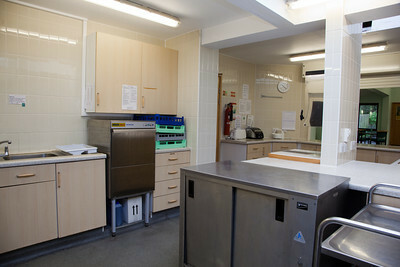 The Kitchen – modern kitchen fully equipped with double gas oven, warming cupboard, hot water boiler and dishwasher. 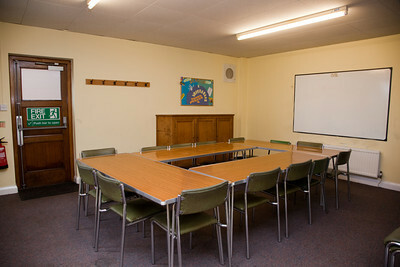 (The kitchen/community room may be booked alongside another room without additional charge, subject to availability). The Upper Room (stair lift available) seating 42, 5 tables provided. Offers flexibility for meetings or informal occasions. A free standing screen is available together with its own sound system using battery powered remote microphones. 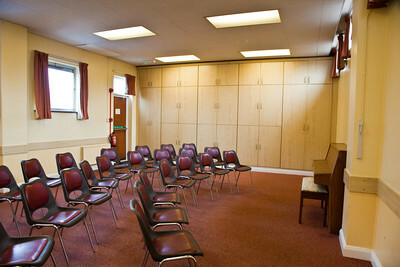 The Sussex Room – seating 18, 4 tables provided. Suitable for discussion or educational groups, wipe board available. 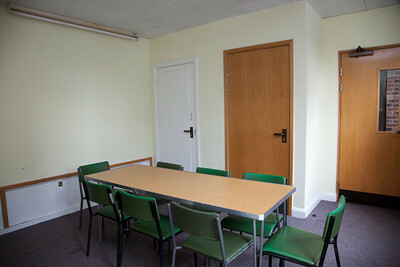 The Boltro Room – seating 12, 1 table provided. A venue for small meetings.